Moscow has condemned Reuters for its “exclusive” report which ignored a detailed statement from the Russian Foreign Ministry, in favor of the narrative predetermined by a “draft document” coming from an unnamed source and comments by anonymous officials. In its “exclusive” story published on November 10, Reuters claimed it had obtained a “draft” of Russia’s plan for a “constitutional reform process of up to 18 months,” prepared for the multilateral talks on Syria this week. The Reuters News Agency requested a comment from the Foreign Ministry, which it was given, but then decided to ignore it in their report. The Foreign Ministry confirmed to Reuters that Moscow is in contact and in consultation with its partners, but emphasized that there was “certainly” no such document in the works. 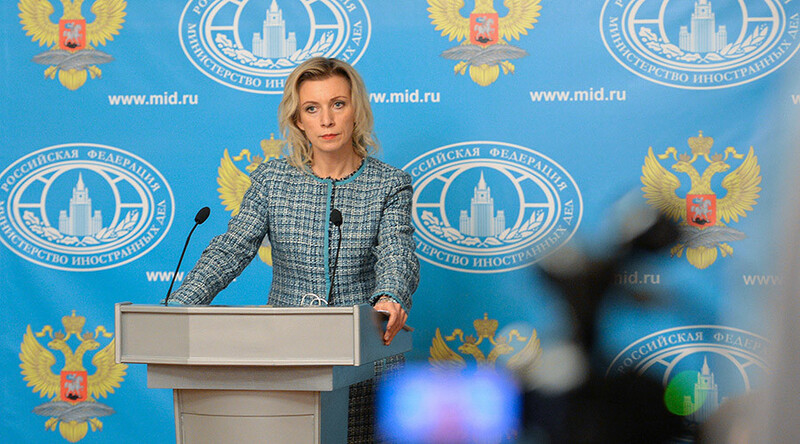 “Thus the central media with a long history has opted for the publication of perspective from unnamed sources, while they had been given an official comment by Russian Foreign Ministry,” Zakharova said. The Ministry had to press the news agency to include Russia’s official statement in the report, which was eventually added in the third update of the article sent out to subscribers, almost four hours after the initial version was published. “As you may understand, no one cared, because the ‘international sensation’ [had] already spread,” she said. When asked how it could have happened that the statement provided by Russia on Reuters’ own request was ignored, the news agency’s representatives in Moscow pointed the finger at their colleagues in London. The Ministry’s spokeswoman pointed out that the controversial report coincided with Washington’s initiative to organizing three “working groups” on Syria in Vienna on November 12-13. Russia was informed of this “improvisation” via an email from the US embassy, which came as a surprise as the initiative was never discussed with Moscow.